Phil's Forum for Independent Retailer Success: Can You Read Your Financial Statements? I know for years I could not. Sure, my dad would try to explain everything to me. My grandpa helped, too. Even the accountant would chip in from time to time. But it always seemed like they were speaking a foreign language. Let's face it, most independent retailers have little or no accounting background. And accountants & bankers speak in a tongue very few understand. If we want to be successful, we need to know what those statements say and what those numbers mean. I have finally broken the code! I have deciphered the two biggest financial reports your accountant gives you and translated them into language we all can understand. It's all in the FREE downloadable eBook Reading Your Financial Statements. Think of it as the Rosetta Stone for accountant-speak. A HUGE shout-out goes to Frances Schagen who helped me tremendously in finally understanding the relationship between Assets, Liabilities & Equity, and for making sure my numbers all looked right. Thanks, Frances! As Frances says, "What gets measured gets managed." May this help you better manage your finances this year. 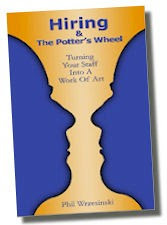 PS This is just one of many FREE downloadable eBooks for Retailers you can find on my website - http://philsforum.com/.